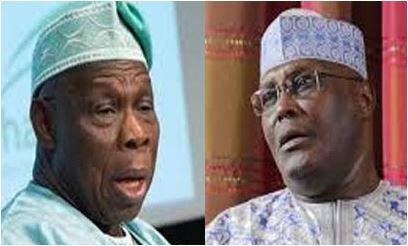 Former President Olusegun Obasanjo has declared that former vice president and presidential candidate of the Peoples Democratic Party (PDP), Atiku Abubakar will perform better than President Muhammadu Buhari. The former president also stated that Atiku has the business experience and capacity to rule and create jobs for youths in the country should he emerge president of Nigeria at the 2019 general elections. Obasanjo also said that Atiku has asked for forgiveness and has shown remorse as regards the animosity between the duo. Obasanjo spoke after he emerged from a closed-door meeting with Atiku, PDP National Chairman, Prince Uche Secondus; PDP chieftain, Chief Bode George; founder of Living Faith Ministries, Bishop David Oyedepo, Sheik Abubakar Gumil; former governor of Ogun State, Otunba Gbenga Daniel; former governor of Cross River State, Liyel Imoke, Senator Ben Murray Bruce and leadership of Afenifere among others.